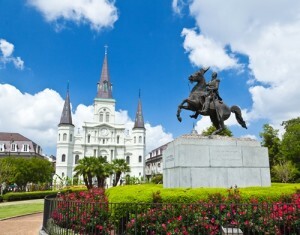 The Louisiana Department of Revenue developed an amnesty program for almost all liabilities. The 2014 Louisiana Tax Amnesty program remains in effect through Nov. 14, 2014, allowing individual and business taxpayers to bring delinquent accounts up to date, either by filing overdue state returns or clearing unpaid bills. The voluntary program grants amnesty for taxes due for the year 2013 and prior, and also allows for installment payments to be made upon approval. Per the terms of Act 22 of the Louisiana legislature’s 2014 regular session, the Louisiana Department of Revenue is authorized to develop an amnesty program for all liabilities, with the exception of those pertaining to taxpayers involved in any sort of criminal litigation or investigation. Balances due before Jan. 1, 2014 are immediately eligible for amnesty, with the potential for 100 percent of penalties and 50 percent of interest to be waived. Applicants seeking such waivers must complete online paperwork before 11:59 p.m. Central Standard Time Nov. 14, 2014. These eligibility terms include applicants who are currently being subjected to wage garnishments or levies on their bank accounts as long as they pay their due amounts during the amnesty periods. Taxpayers in these situations are also advised to contact the LDR to ensure the garnishment or levy is released after full payment. The legislation does, however, state no new programs will be implemented beyond 2015 before Jan. 1, 2025. That makes the current window and next year’s amnesty eligibility terms all the more important for those who qualify. For more information, individual taxpayers and businesses may contact a LaPorte accounting services professional.